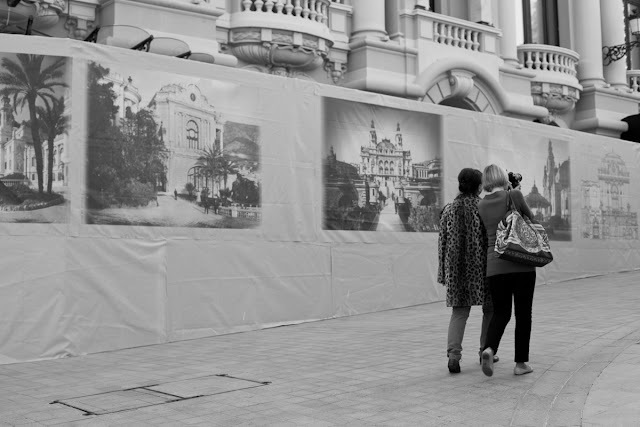 Old photographs of the buildings around Casino Square decorate canvas panels that hide the latest renovations. I like the decorations in Europe on construction sites. I Italy the scaffolding is often covered with a picture of what the building looks like that is behind the scaffolding. And then some times they ruin it with advertisements.